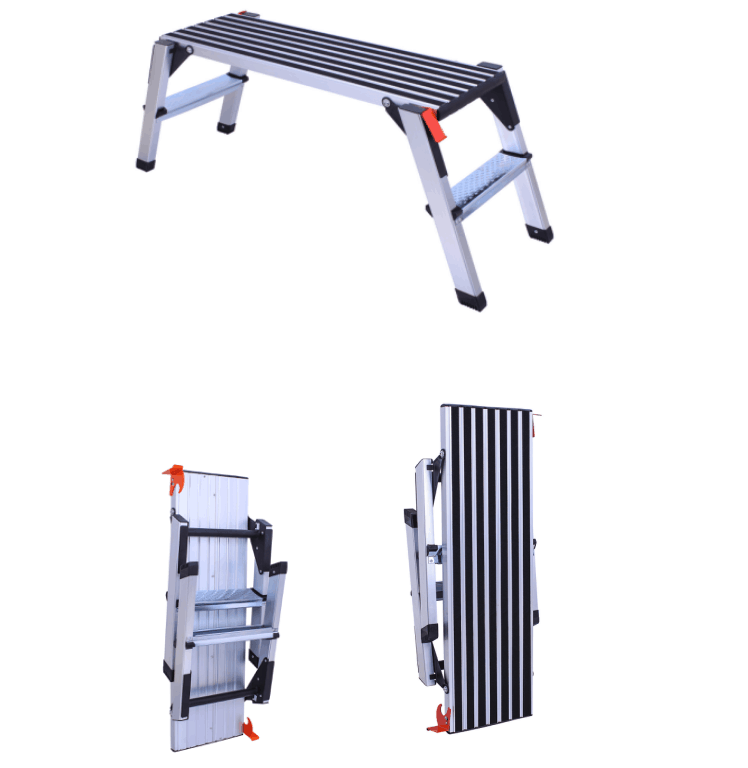 Yongkang Aoyi Industry&Trade Co., Ltd. 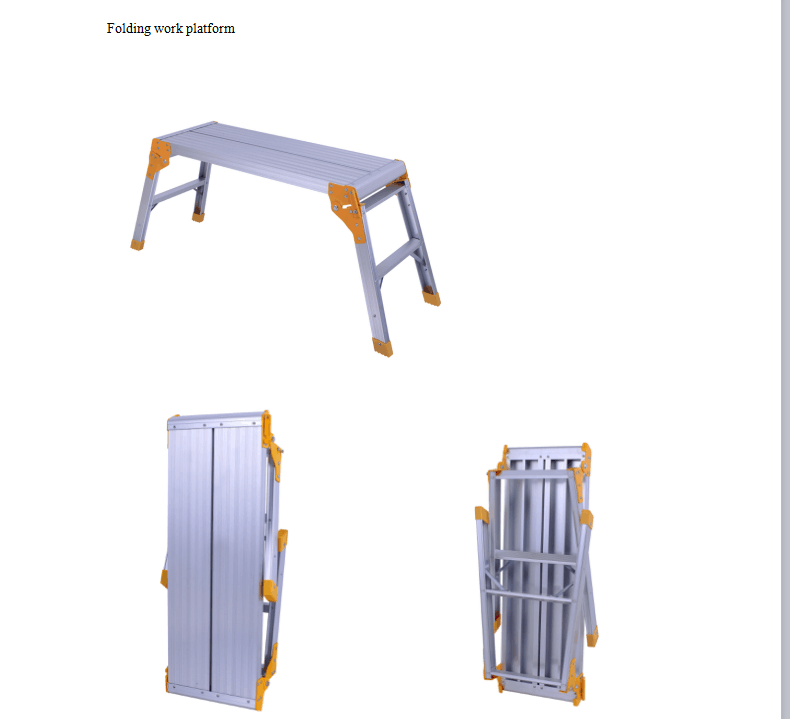 Product categories of Work Platform, we are specialized manufacturers from China, Work Platform, Aluminum Work Platform suppliers/factory, wholesale high-quality products of Folding Work Platform R & D and manufacturing, we have the perfect after-sales service and technical support. Look forward to your cooperation! 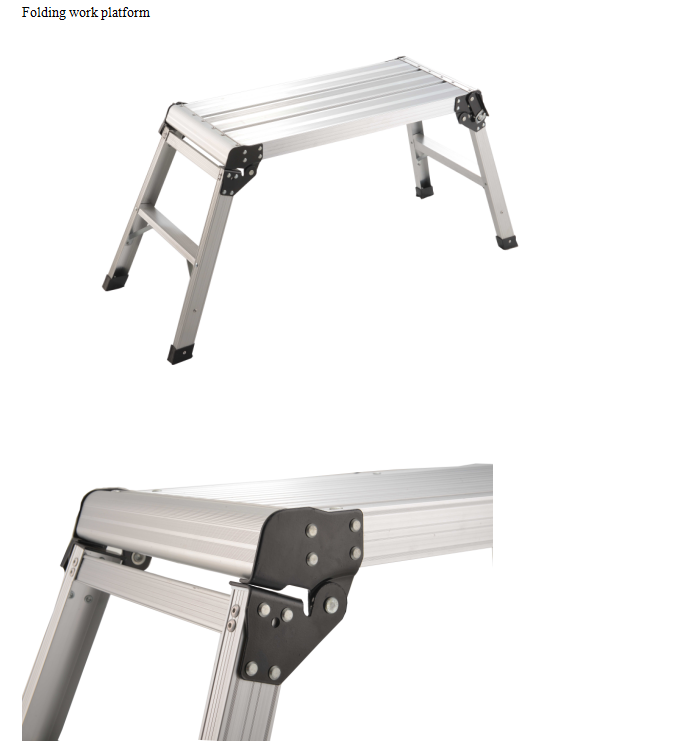 With a 150-300kgs load capacity, the Aluminum Work Platform allows you to work comfortably along walls and windows, making it ideal for painting and wall papering applications. 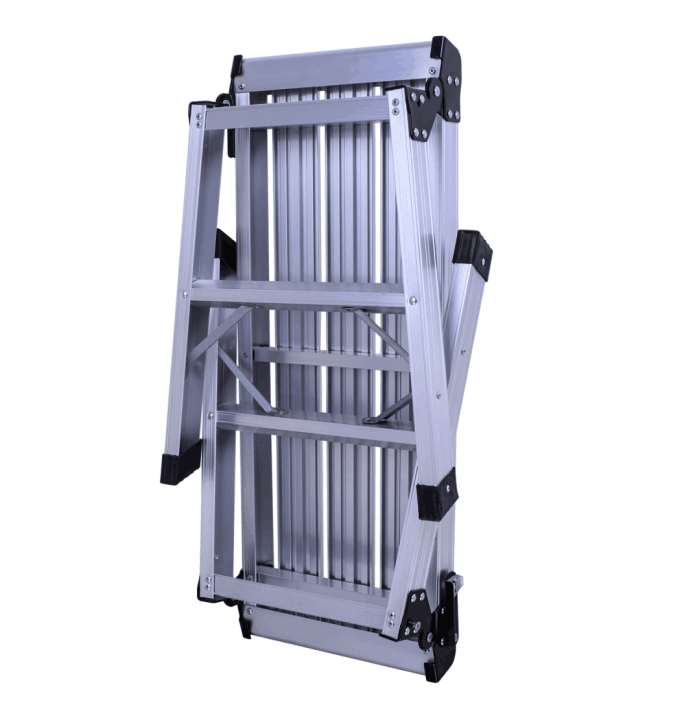 The lightweight design is easy to carry and set up, folding conveniently for storage. 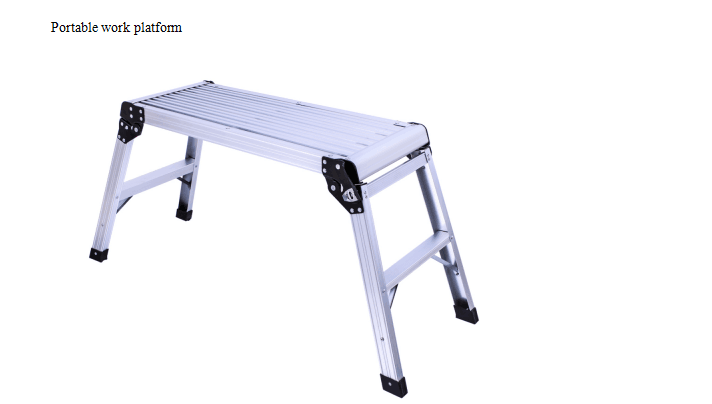 Designed for comfort and stability, the platform with safety steel lock and has a standing level of 30*60/76/*86....,(cm), height of 50/60/70......(cm) or by your design of the size of the work platform , creating a sturdy work space for a variety of jobs. 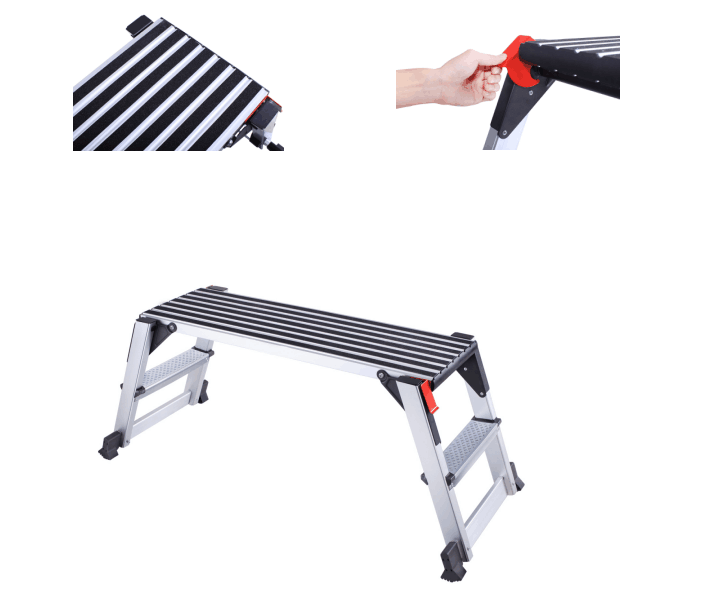 Pretty be loved in the European and America market as it`s foldable and Sturdy ,Step access from both sides,Safety lever,Non-Slip Surface, Non-Slip Leg Boot .Conforming to the European safety standard . Q: Are you factory or trading company ? A: We are factory , exported foreign over decade with rich experiences . Q: We can change the color of the rubber cover ? A: yes , the regular is black , you also choose other color . Q: Can I have a sample ? A: It`s depends on your demands, quantity , we can offer you lowest price . Q:What`s your delivery time ? A: Sample order : 3days , bulk order : 23-25days . Q: Can we use our logo or brand on the package ? A: yes , OEM is ok .
A: (1) T/T: 30% deposit be paid in advance , the 70% of total payment see the copy of B/L. (2) L/C it`s ok .
(3) Cash also ok .
More inquires or questions , plz feel free to contact us ! 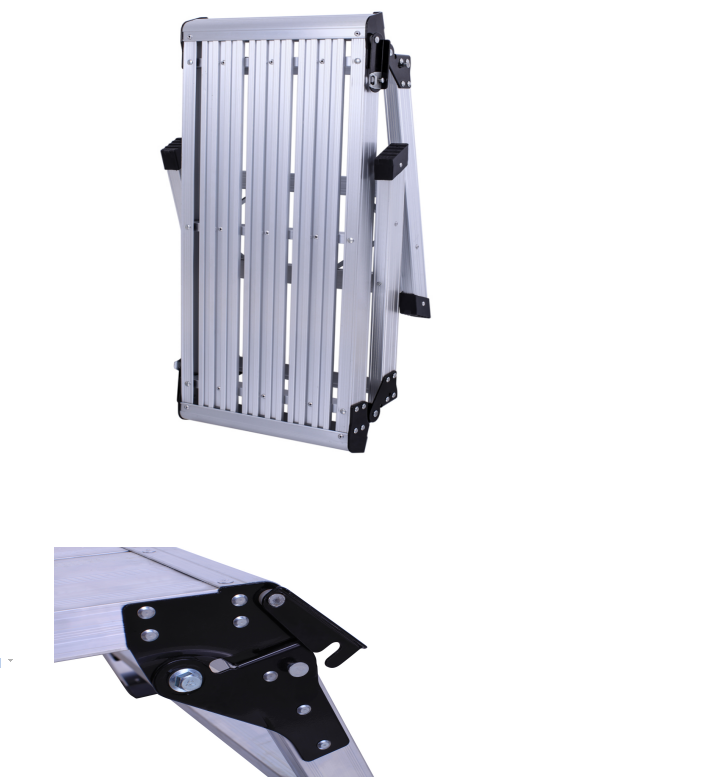 Copyright © 2019 Yongkang Aoyi Industry&Trade Co., Ltd. All rights reserved.